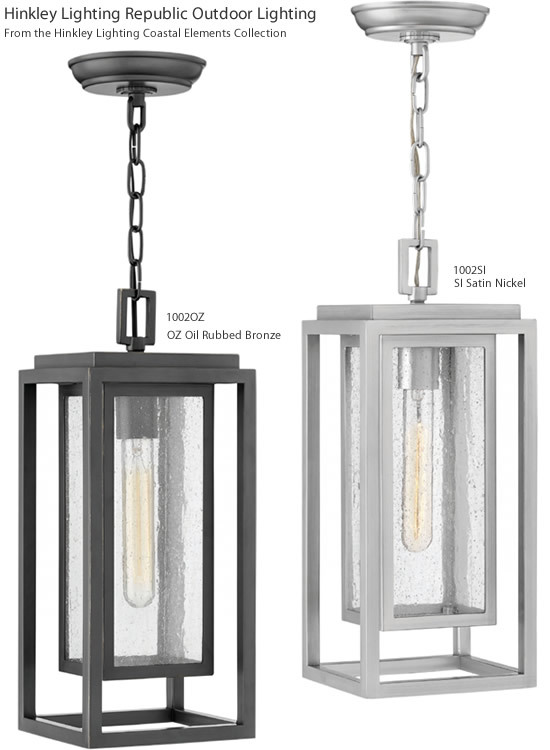 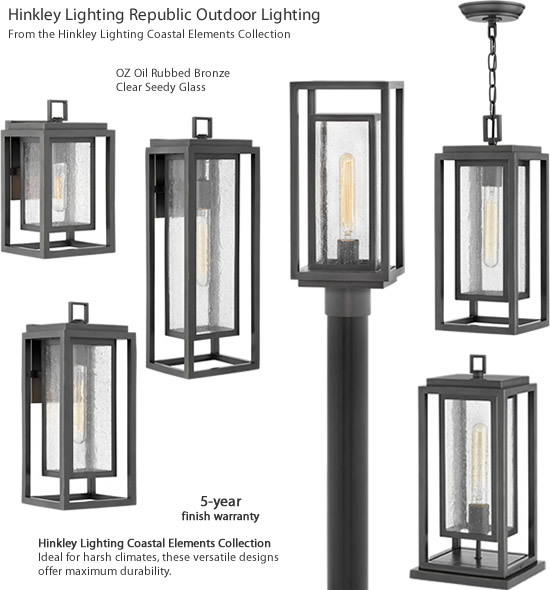 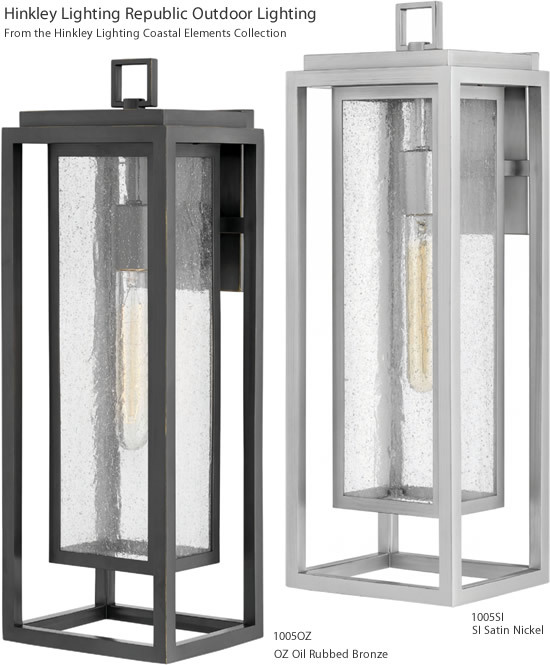 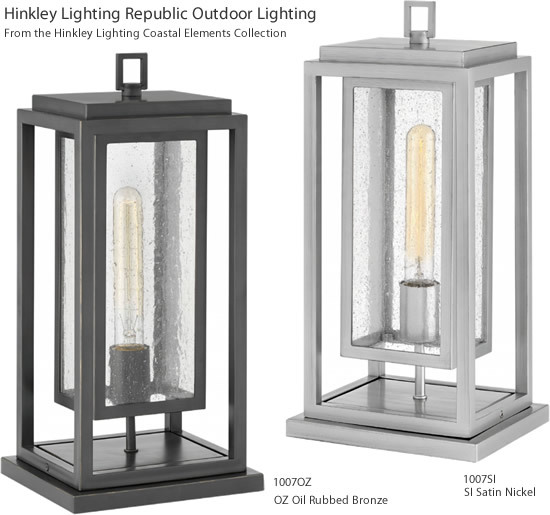 Hinkley Lighting's Republic Outdoor Collection features a striking double frame design constructed from a composite material and treated with an anti-fading agent for maximum durability. 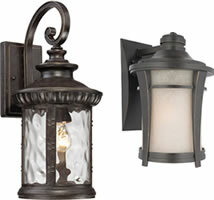 It is equally at home on the coast or a country lodge. 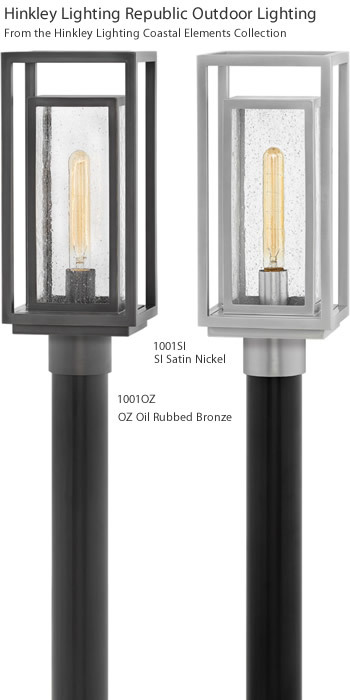 The Oil Rubbed Bronze and Satin Nickel Resilience finishes feature a 5 year warranty and are resistant to rust and corrosion. 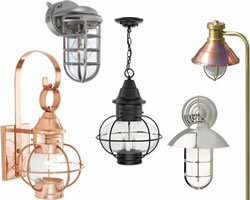 Vintage filament bulbs are recommended to complete a stylish look. 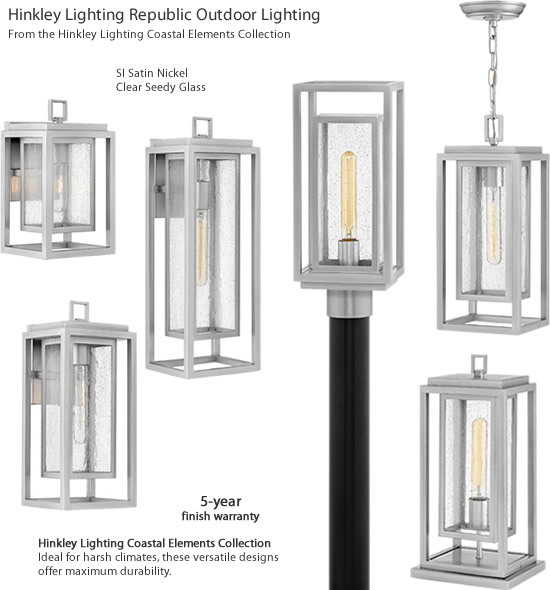 Width: 7" x Height: 12"
Backplate Width: 5" x Height: 6.5"
Vintage filament bulbs not included. 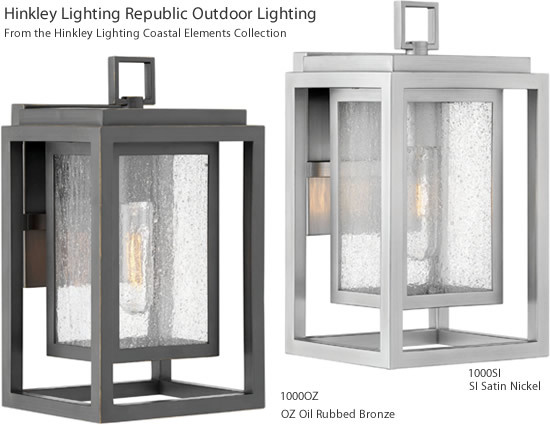 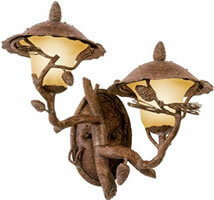 Ideal for harsh climates, these versatile designs offer maximum durability. 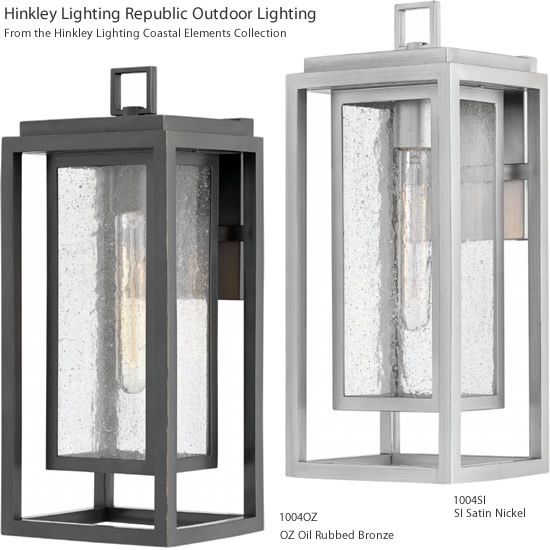 Width: 7" x Depth: 6" x Height: 17"
Width: 7" x Depth: 6" x Height: 16.8"
Width: 7" x Height: 16"
Width: 7" x Height: 20"
Width: 7" x Depth: 6" x Height: 16.5"